Roll it, make it, and expand it! Students will roll a dice twice, once for the tens place and once for the ones place. Then students will draw a picture to make it. 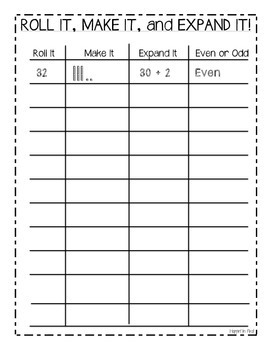 Then students will create the expanded form, and finally tell if it is even or odd!